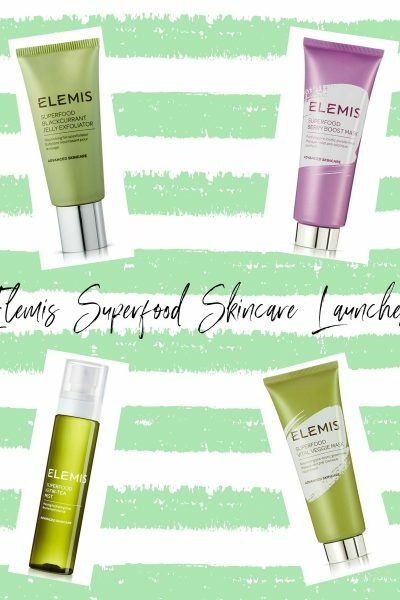 There have been a lot of beauty collaborations within the last twelve months from affordable to drugstore brands through to the more luxurious higher end brands. One collection however piqued my interest as it was completely unexpected and dare I say it, a seemingly very random collaboration. Maybelline x Puma have collaborated for a limited edition makeup collection which is definitely a partnership I never expected to see. 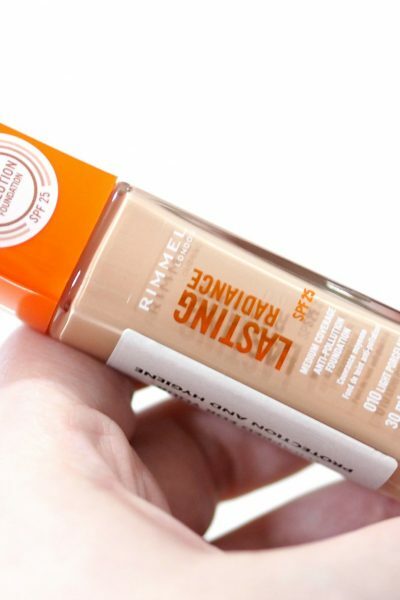 Maybelline have collaborated with YouTubers before, where they collaborated with Nikkie Tutorials to make an highlighter and also with MakeupShayla for a mini collection. 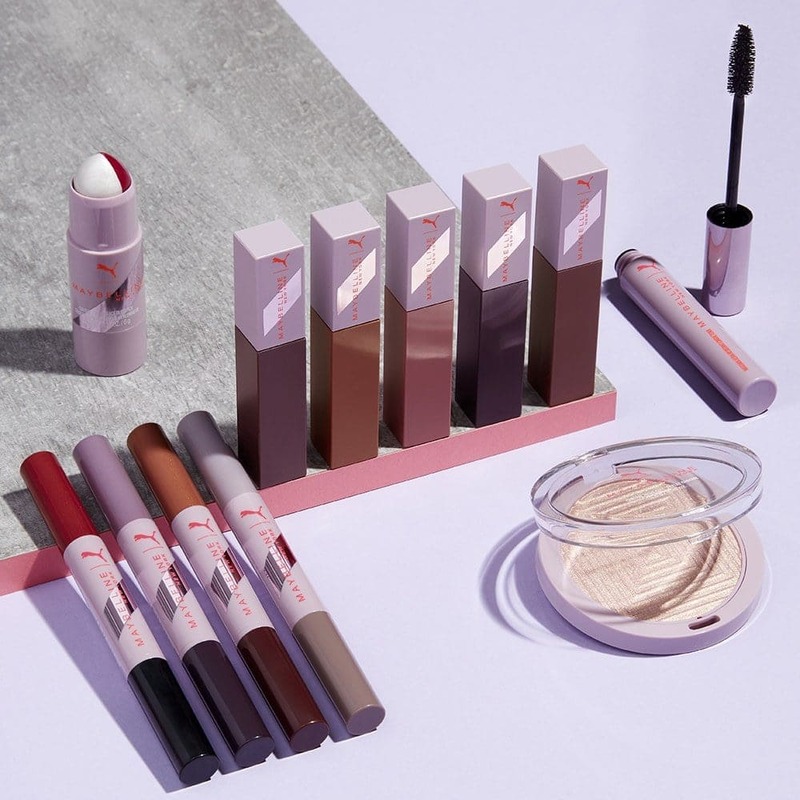 I never expected a drugstore brand to collaborate with Puma for a makeup collection but it’s here, so keep on reading to find out all of the information on the Maybelline x Puma Makeup Collection.. The Maybelline x Puma Makeup Collection consists of four different products, some of which have multiple shades. All of the products within the collection feature a pale purple colour theme across the board for the packaging and I actually really like the packaging. I can’t say I’m the biggest Puma fan, but I like what they’ve done for the packaging as it’s not overly sporty and something I else I appreciate are the prices. Sometimes brand like to up their prices on collaborations with the Maybelline x GiGi Hadid Collection being the perfect example as the products were all so pricey for a drugstore brand. The prices for the Maybelline x Puma Makeup Collection are consistent with their main range products. The first product within the collection is the Maybelline x Puma Chrome Highlighter Powder in one shade which is Knockout £8.99. Maybelline have launched several shades of their Chrome Highlighter and I’ve reviewed two so far here on my blog; Diamond Glow and Opal Holographic. From looking at the swatches online, it appears Knockout is a light rose gold shade and it does look stunning for light to medium skintones. Next up are the Maybelline x Puma Matte + Metallic Eye Duo Sticks £7.99 which are dual ended eyeshadow sticks with a matte shade on one side, and a shimmer side on the other. There are a total of four duos to choose from; Warrior / Flow, Discipline / Pulse, Goals / Courage and Heat / Flash. 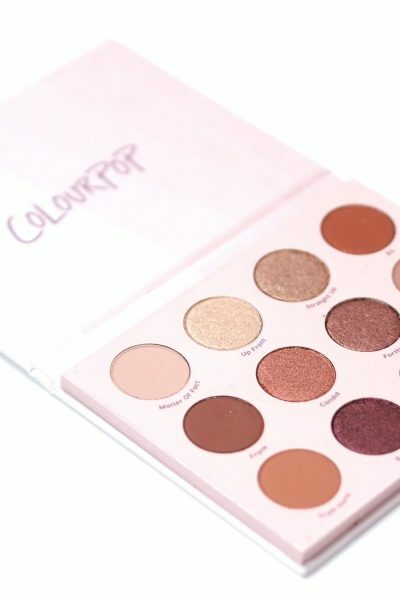 The eyeshadow formula is described as being waterproof and lightweight with upto 24 hours wear, with a twist up design. The Maybelline x Puma Smudge Resistant Mascara £8.99 is a smudge resistant, high performance mascara delivering clean volume and dramatic length that lasts up to 24 hours. The brush has natural bristles and looks promising. I’m a big fan of Maybelline mascaras, they’re one of my favourite brands for affordable mascaras so this is a product I’d really like to try as I do prefer natural bristled mascaras. Then we have the Maybelline x Puma Color + Gloss Face Duo Stick £8.99 which is available in one shade; Hustle / Burn. I’ve seen a couple of YouTuber’s describe this as being a contour stick but from what I can gather, this stick contains a white pearlised highlighter on one half of the stick and then a bright red blush shade on the other. I don’t know how practical this stick will be as you don’t have the best control when applying either shade but it’s unique regardless. The final items within the collection are an extension of one of their bestselling products; the Maybelline x Puma Superstay Matte Ink Liquid Lipsticks £9.99 in five shades; Fierce, Epic, Unapologetic, Fearless and Unstoppable. These matte lipsticks are one of the longest wearing matte formulas I’ve ever tried – they seriously do not budge for at least 12 months. I really like the empowering theme for the shade names, and they all look very pretty. This collection is limited edition and you can find them at Superdrug here in the UK, and online at ULTA over in the US. I’d love to know which product is your favourite? *all images belong to Maybelline and not myself.